Back Fade Hairstyle is the most common style amongst men. Most men already have the back fade and do not even realise it. Usually when you go to a professional hairdresser, he or she will often use a trimmer at the end for the back of your head and trim in some layers in the form of a fade. 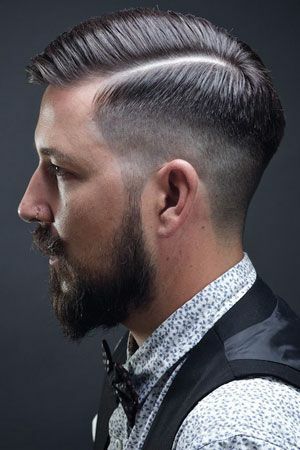 So while this has been the final touch for basic men’s hairstyles, this look has now been transformed and categorized into a whole separate heading because you can very well combine the back fade with interesting styles such as half pony or a whole man bun and create something very ruggedly handsome! Also you might probably already have this look and all you need is a mild push in the right direction to create a smart and charming look that is unique to you without having to incur the cost of actually going to a hair dresser! The most popular version of the fade is the back fade. Most of you might actually have the style and not even be aware of it!